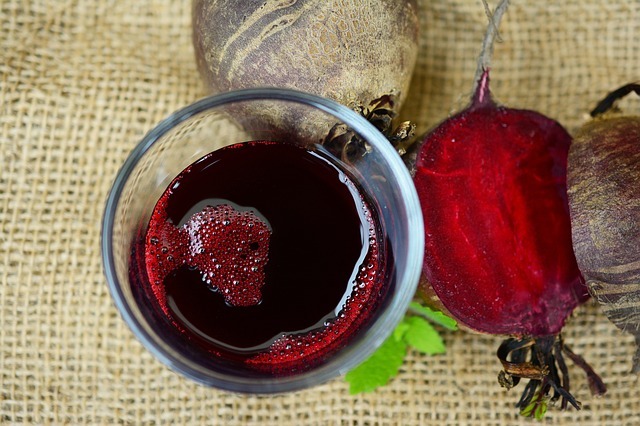 In today’s post, I’d like to share Heath Benefits of Beet Juice. Beet Juice contains nitric oxide, which is very beneficial for our breathing and blood. Also, beet juice enhances oxygen and nutrient levels going to our brain. Simply buy 3 beets, wash them thoroughly, cut them up and boil them in a small pot. I recommend that you use bottled water. Add the cooked beets to a tasty salad, and save the beet juice in a jug. Refrigerate it, and drink 6 to 8 ounces of it at a time, as you please. The benefits of nitric oxide are going to make you feel much better. To learn the full range of Heath Benefits of Beet Juice, explore my book 38 Super Healthy Foods: A Unique Manual to Health, Wellness, and Healing.